In September Vicki and I visited London after a break of nearly 40yrs. It has changed somewhat. Although this trip was centred around the cultural aspects of the city, I did manage to get a little bit of the radio theme happening. 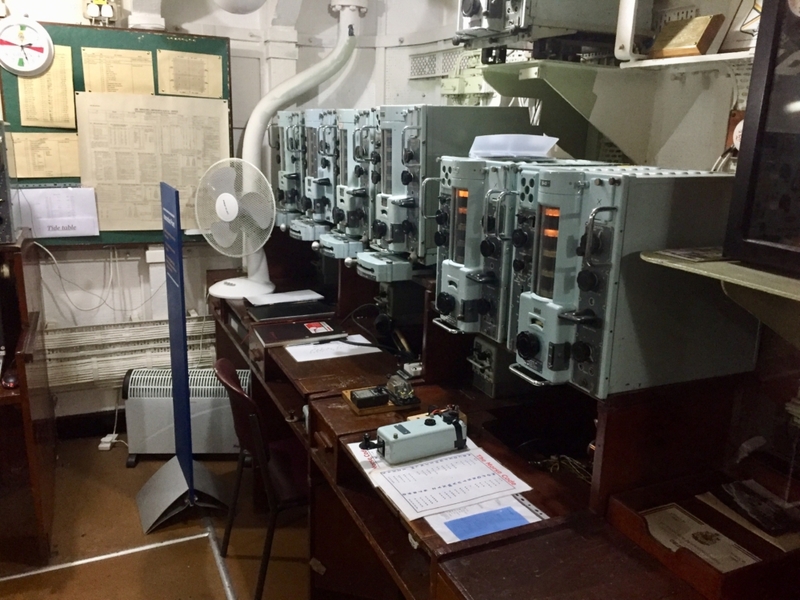 HMS Belfast: A tour of the ship can fill quite some time under your own steam but note that access can be difficult in a lot of places if you are unsteady on your feet as there is little provision for access other than what the sailors had at the time. 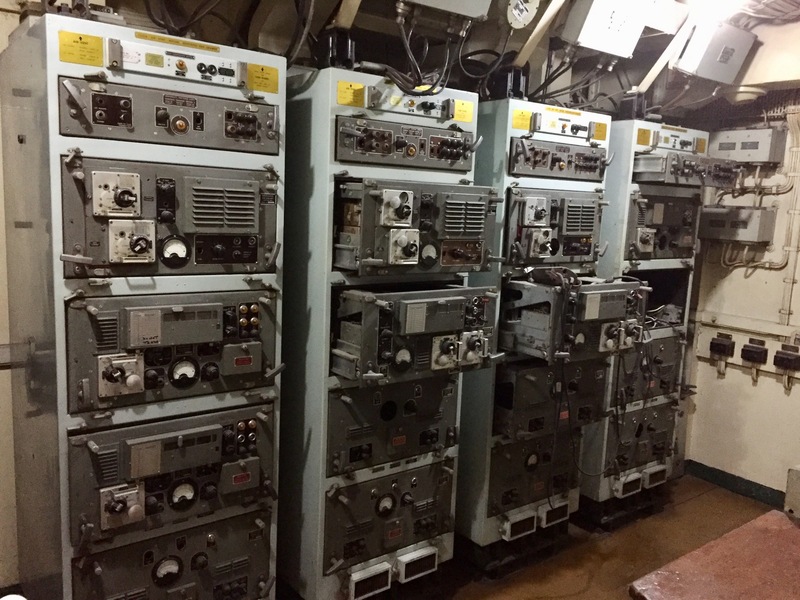 Our schedule wasn’t ration friendly but I did hold out some hope that the radio station may have been manned by local amateur volunteers. The website has some detail about days and time of operation. I have heard of some visiting amateurs being offered a ‘play’ on their ham gear. 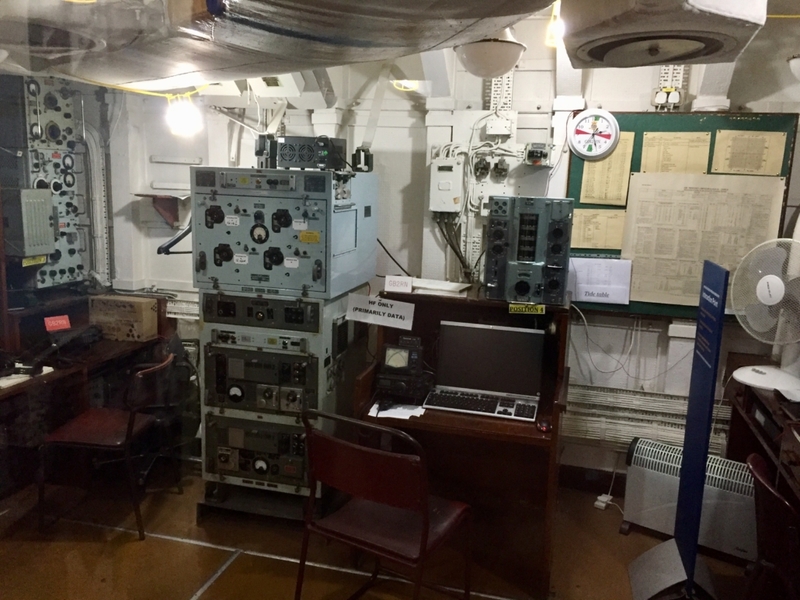 A couple of photos show some of the rooms through the ship where recordings were copied and broadcast as a ‘local’ station, transmitter room and racks and the radio room itself. 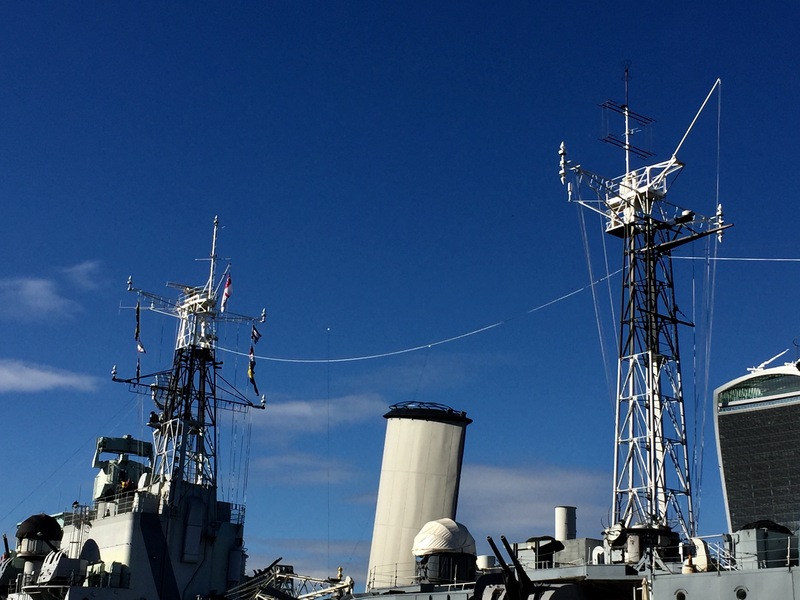 HF antennas have been rigged up between the masts. 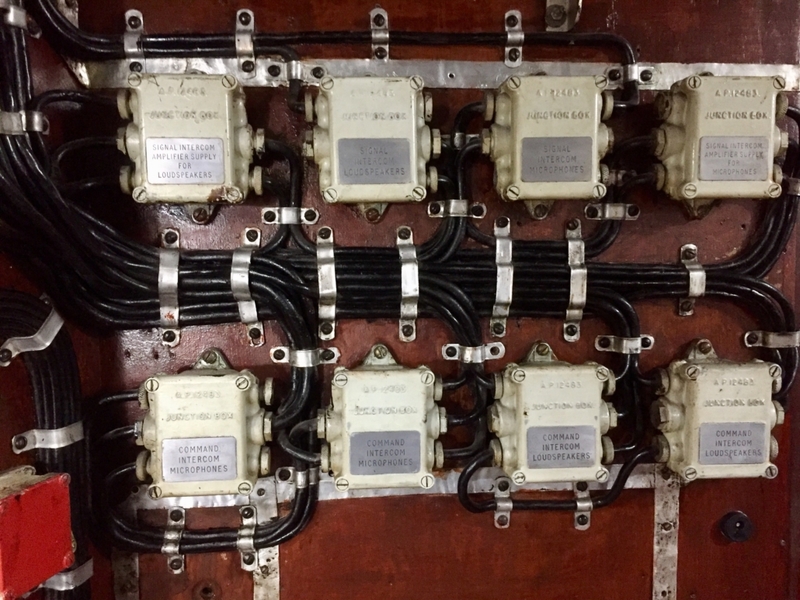 You may be able to see the dipoles in a few of the photos. 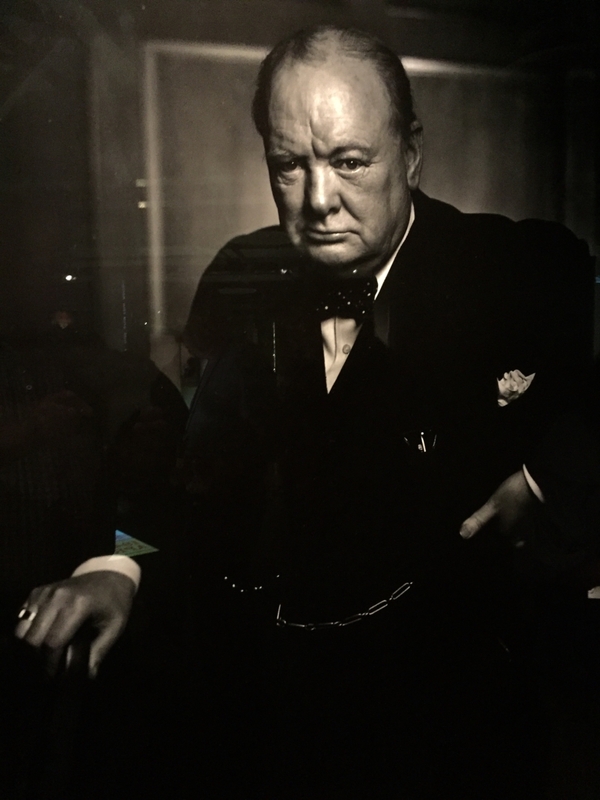 Churchill’s War Rooms: Quite an interesting venue but beware, queues can be long, it can be warm and crowded inside. 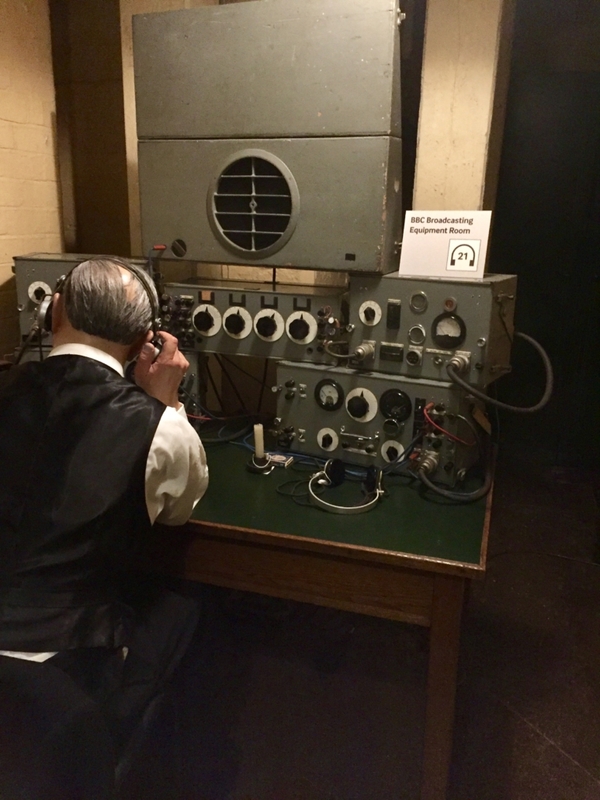 An audio self tour is available as follows a script with a large room you can browse through covering Churchills life and career. The photos below are labelled and hopefully give some sense of occasion. 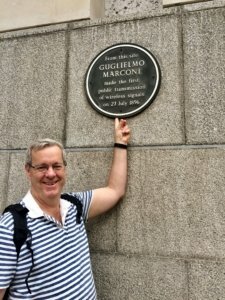 Marconi Plaque: Really nothing more to say about the photo and plaque other that something of interest as Marconi Day was around the time we visited. 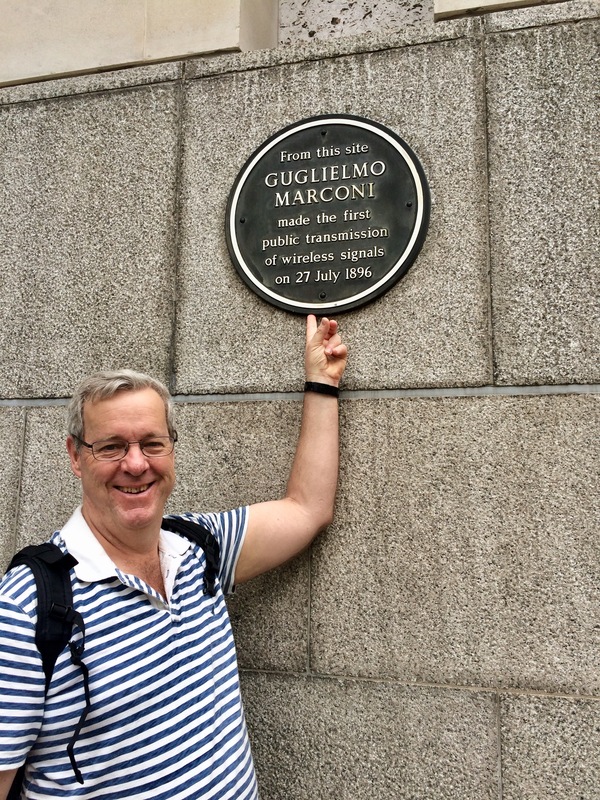 ‘From this site Guglielmo Marconi made the first public transmission of wireless signals on 27 July 1896’. Tips – In general, buying the London pass before we went meant there were good savings at these sites and others but unlike what was available in Paris – where you could jump queues with a similar pass – you still had to line up. 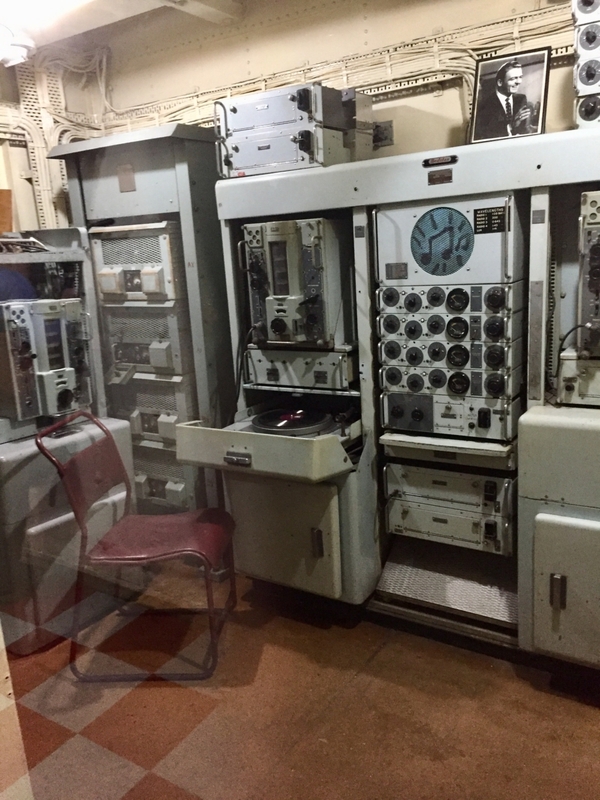 Ship’s broadcast room – music, announcements and other informations for the sailers.